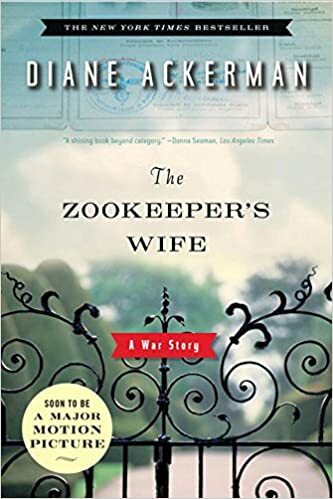 What I thought was to be a historical fiction turned out to be non-fiction, this book uses protagonist Antonina Żabiński's "diary and loose notes" to tell the story of life as a zookeeper's wife and mother of a young son and eventually a daughter during the WWII German occupation of Warsaw, Poland. Through author Diane Ackerman's superb ability to weave Żabiński's written notes into an overflowing narrative of fascinating material, the reader learns much, much more than he bargains for. Contained within its 323 pages (or 11 hours of audio) is a peek inside the life and habitudes of a Warsaw citizen in the 1930s - '40s from the perspective of a woman, a wife, a mother, a scientist, a Christian, and a chronicler all knit together by perseverance, courageousness, industriousness, and faithfulness. "the many seasonings of daily life . . . ."
"I watched her face switch among the radio stations of memory . . . ."
"God may promise not to destroy creation, but it is not a promise humankind made - to our peril." "The idea of safety had shrunk into particles - one snug moment, then the next. Meanwhile, the brain piped fugues of worry and staged mind-theaters full of tragedies and triumphs, because unfortunately, the fear of death does wonders to focus the mind, inspire creativity, and heightens the senses. Trusting one's hunches only seems gamble if one has time for seem; otherwise the brain goes on autopilot and trades the elite craft of analysis for the best rapid insights that float up from its danger files and ancient bag of tricks." "Revered as God's servants, the bees they lure provide mead and honey for the table and beeswax candles for church services, which is why many churches planted linden trees in their courtyards. The bee-church connection became so strong that once, at the turn of the fifteenth century, the villagers of Mazowsze passed a law condemning honey thieves and hive vandals." I first because aware that a zoo in Poland actually hid Jews in its animal cages and pens while teaching middle school history using The Story of the World, Volume 4 (Bauer) and at the time wondered if there was a book about this for middle or high schoolers. Had I known about this book then (from the publication date, it had just come out when I began using The Story of the World, I may have used it as required supplemental reading for my high school students. I look forward to seeing the movie (which I may have used for history class at the time too). 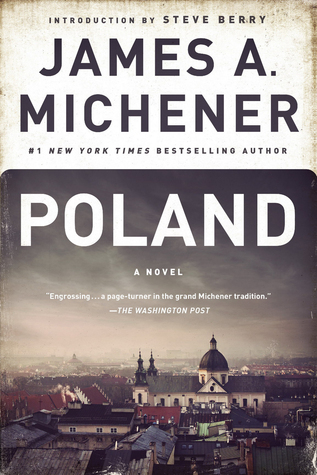 And I daresay, this book may send me on a reading trip to Poland (as I'm winding down my Alaska binge) as I've been recently thinking about reading Michener's Poland. Ah, those reading trails . . .